Elizabeth Cass in Cooking in Spain says Jurel makes good eating, is preferable to mackerel and suggests frying or grilling. Alan Davidson in Mediterranean Seafood, however, suggests it is not as good as mackerel but easier to digest. I think mackerel needs an acid sauce such as lime, gooseberry or rhubarb to cut through the oiliness, or something with heat such as horseradish or chilli. 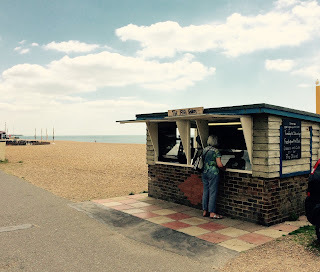 The recipe for the Salsa below is mine but the idea was borrowed from a recipe for mackerel by Tara Reddy of St Leonards in The Hastings and Rye Fish Cook Book (2)*. Tara Reddy includes both soy sauce and honey in her salsa and omits the coriander, reserving this to be sprinkled over the fish when served. Chop ginger, garlic and chilli and put in food processor with bunch of coriander (reserve some leaves for garnish) Add zest and juice of the lime(s) and olive oil (3x volume of oil to lime juice - vary this according to your taste and add dash of sesame oil. Whizz in a food processor - optionally add soy sauce to taste and then stir in two finely chopped spring onions. Serve the cooked mackerel with the salsa and sprinkle on a few leaves of chopped mint and coriander. ** In Spain I bought a multipurpose electric cooker – a PALSON Evelyn – to cook Paella. It is a large non-stick frying/sauté pan with lid and I have found it excellent for cooking fish as it griddles and steams them at the same time, crisping the skin and keeping the flesh moist. 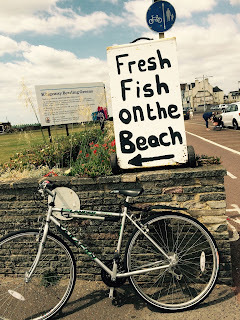 POST SCRIPT - June 2015 - You don't have to go to Spain for horse mackerel. It is caught in British waters. 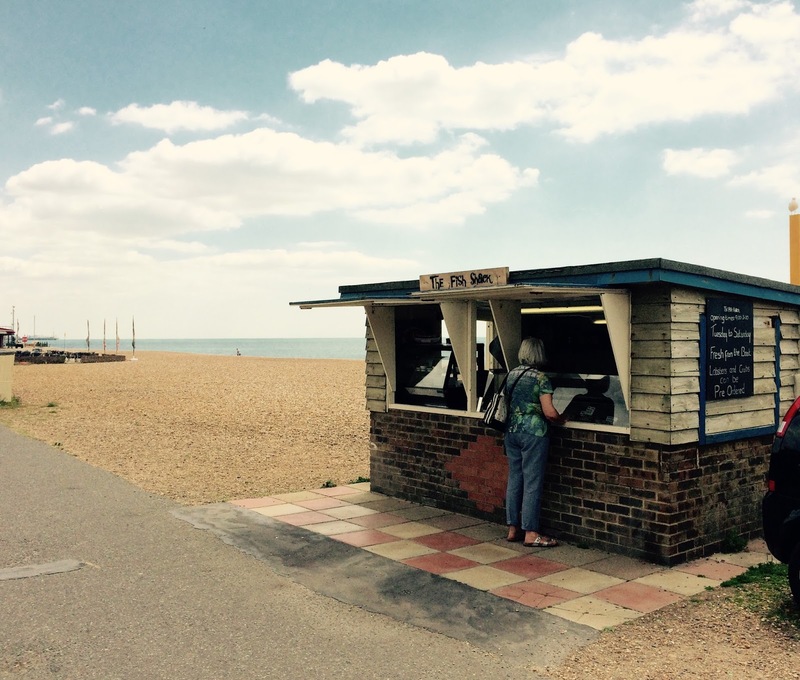 Last week I visited the Fish Shack on Hove beach and they had horse mackerel - otherwise known as scad.